Teams from Mt. 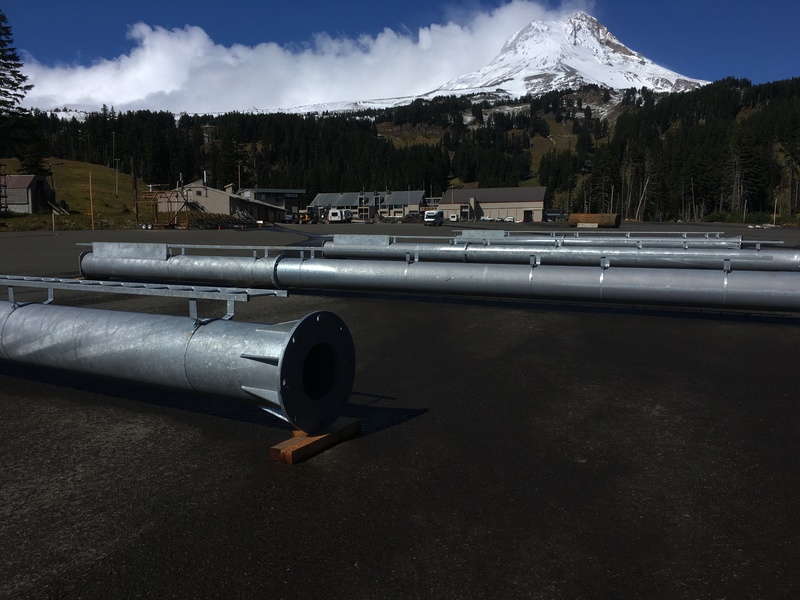 Hood Meadows have repaired and re-opened the Shooting Star Express that was damaged by falling trees over Thanksgiving. Now the storm recovery turns to the Mt. Hood Express, which received ten feet of snow in one week. White Pass has more snow than it did at anytime last winter but no one can get there. 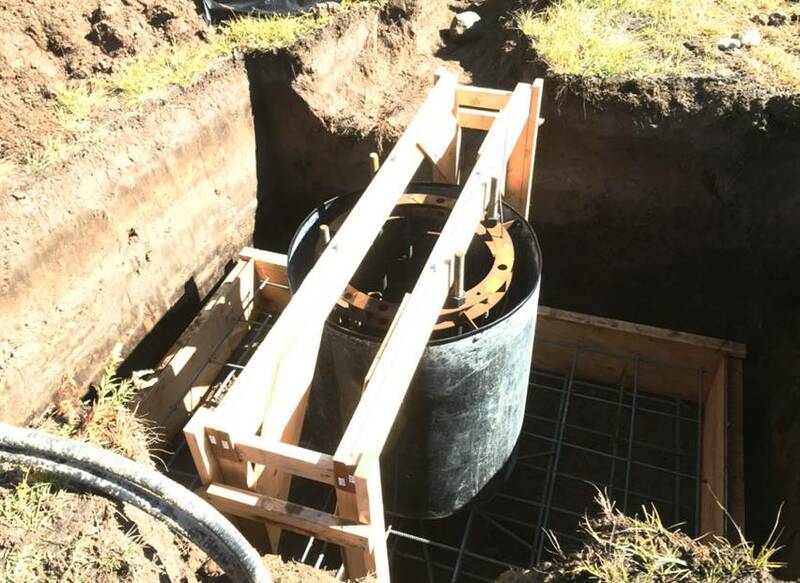 Crews have been working around the clock to repair washouts that cut off the resort from both sides of the Cascades Dec. 9th. The ski area will re-open Wednesday. The Berry family says it’s close to a deal to sell Saddleback to a new owner that hopes to open by late January. Passholders can get a refund or gift card now. Aspen’s 1971 SLI double on Shadow Mountain will be replaced with a detachable quad or gondola in 2016 or ’17. 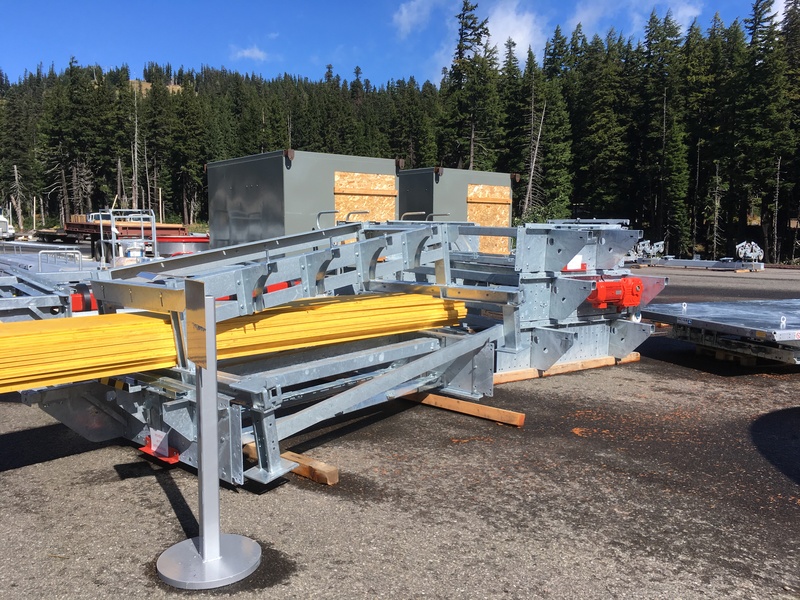 The top terminal will move 200 feet to the southwest resulting in a slope length of 3,600′ with 1,390′ vertical and a capacity of 1,200 skiers per hour. Park City and Canyons are now one thanks to the Quicksilver Gondola but judging by snow conditions it’s going to be awhile before you can ski between the two. Sugarloaf and Doppelmayr load test King Pine on Dec. 19, 2015. James Coleman opens new quad chairs at Purgatory (Leitner-Poma) and Arizona Snowbowl (SkyTrac) with more new lifts on the way. Doppelmayr secures $27 million European government loan for research and development in Austria. Cherry Peak Resort opens today! 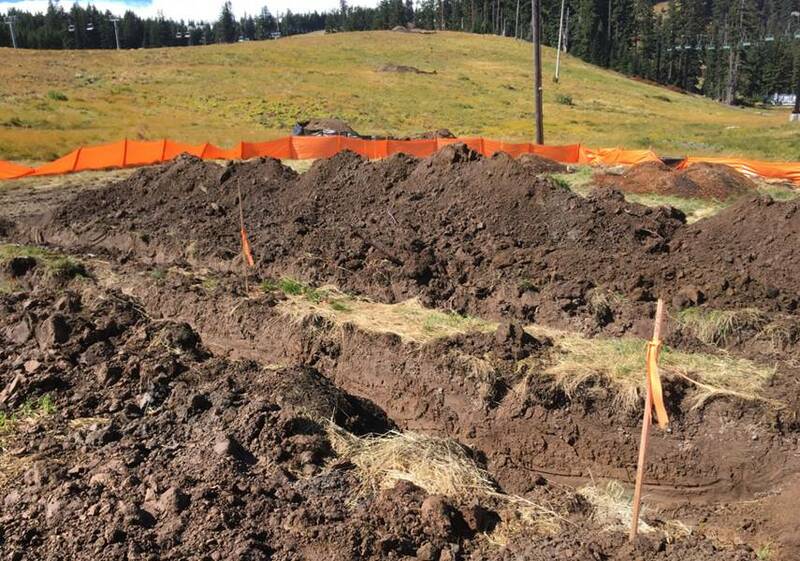 It’s the first all-new ski facility in North America since Tamarack debuted back in 2004. 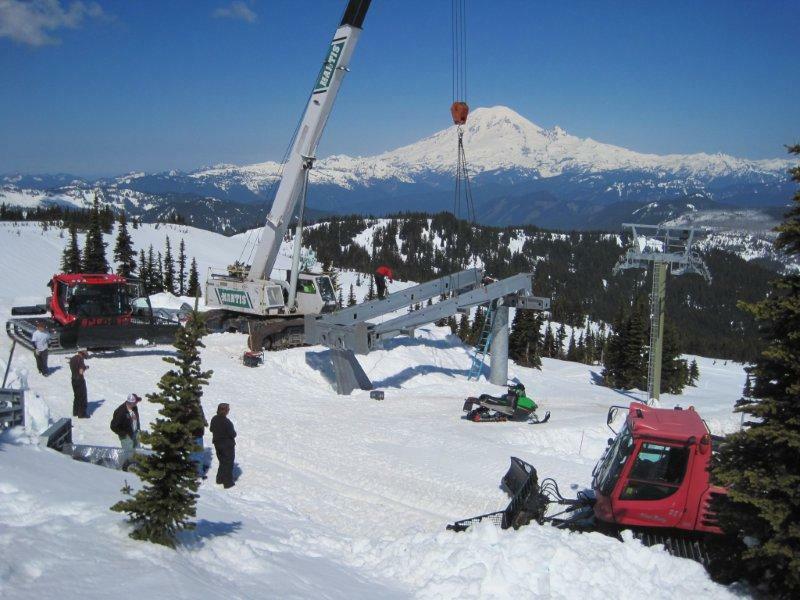 Red River Ski Area hires Doppelmayr to replace its Green lift – a 1977 Riblet double – with a new, longer quad called Emerald for 2016/17. Arizona Snowbowl’s new SkyTrac quad opens Dec. 18th. 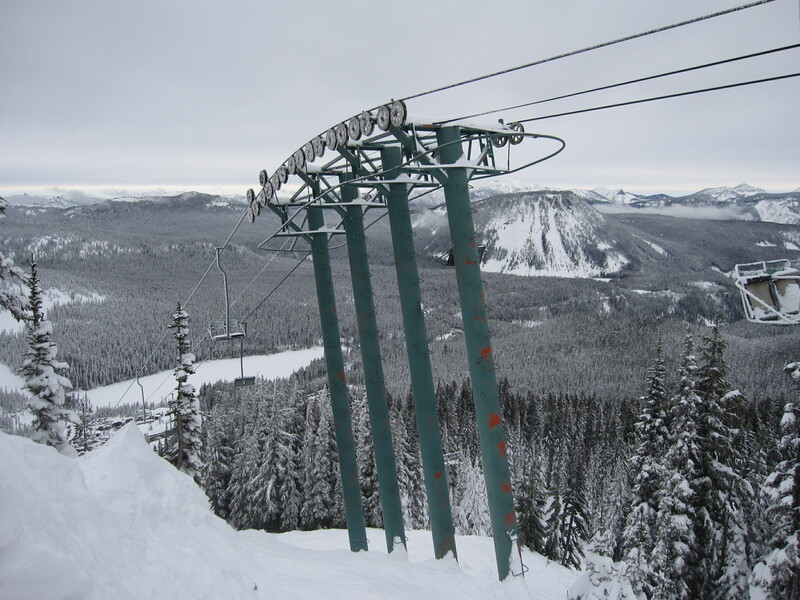 Sugarloaf is installing rebuilt gearboxes on two major lifts this December. Louisiana called its last gondola experiment MART. The next one could be BRAF? BMF’s unique aerial tramway strung between two towers in Puebla, Mexico opens December 20th. 100+ photos of Doppelmayr’s all-new detachable product, dubbed D-Line. Mt. Hood Meadows’ Shooting Star Express will remain closed until Christmas after being rocked by falling trees. 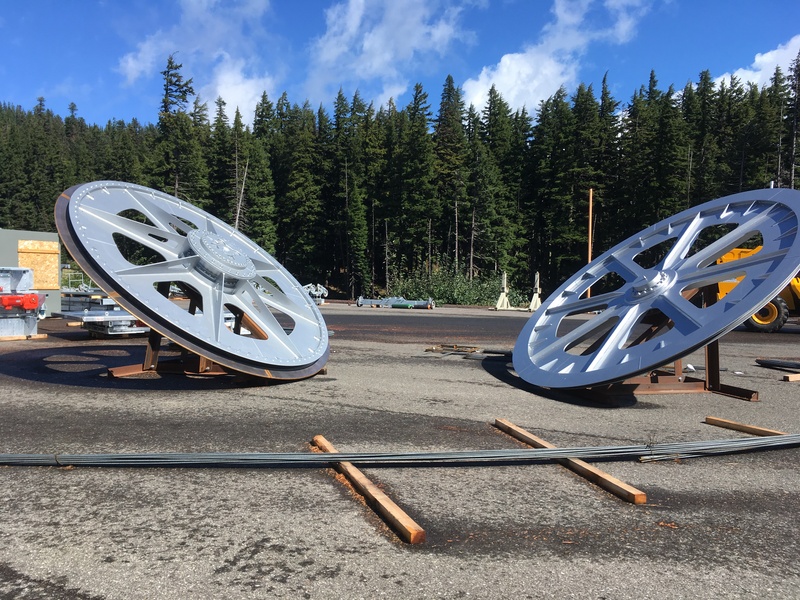 Storms last week in the Cascades cut off all access to White Pass Ski Area with no estimated re-opening. 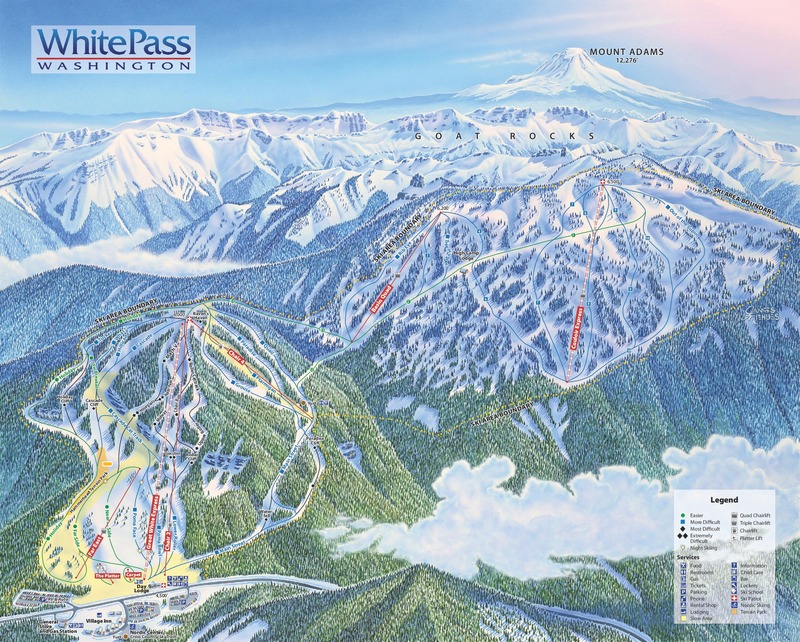 The Couloir Express is on the upper right of the White Pass trail map. Located on the edge of Mt. Rainier National Park in the Washington Cascades, White Pass Ski Area has been operating continuously since 1956. 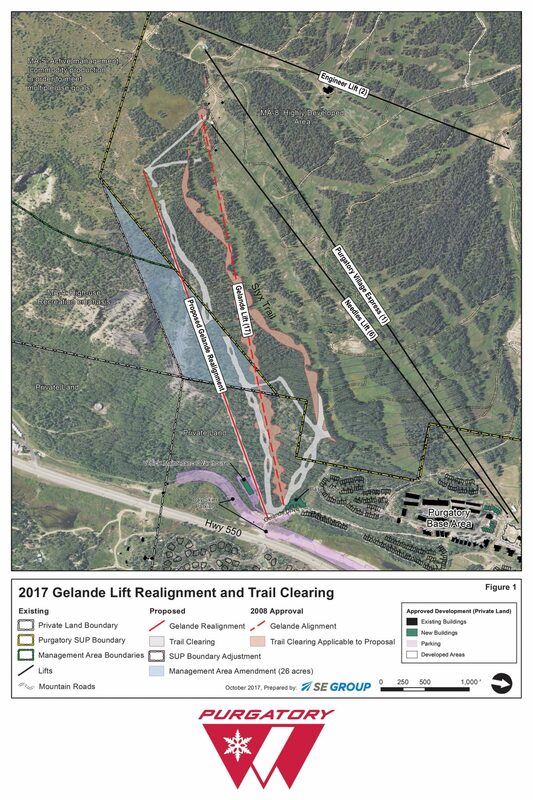 Until 2010, the entire ski area could be accessed from a single lift with a 1,500 foot vertical rise. An ambitious expansion opened on December 4, 2010, doubling the size of the resort 33 years after it was first proposed to the Forest Service. The 767-acre Paradise Basin addition includes two new Doppelmayr quads called Basin and Couloir Express as well as a new lodge and trails. Both lifts were built mostly over snow to avoid road building in this former wilderness area. Construction took place over two springs, taking a break for the summer and winter of 2009-10. The Couloir Express is the last Uni-GS model detachable that Doppelmayr built. Designed specifically for North America, 44 GS detachable quads and six packs were built between 2003 and 2010. Some resorts like Beaver Creek continued to order the Austrian-designed Uni-G so the GS never fully caught on. Presumably it was phased out in 2010 to simplify production in a market with limited demand.